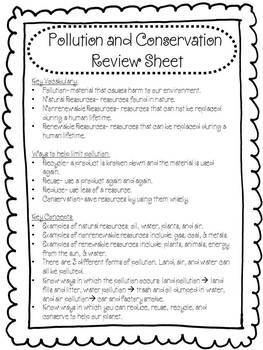 Pollution and Conservation Unit Test with Study Guide! 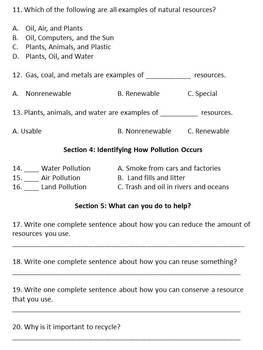 I have created at 20 question unit test to cover pollution and conservation. The test includes 16 multiple choice questions and 4 written response questions. And the best part... A STUDENT STUDY GUIDE! My parents love that they can help their child study for the upcoming test by knowing the material that will be on the test. 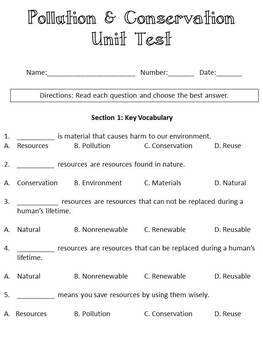 Students also like knowing what are the key concepts they need to master in order to be prepared for the end of the unit test. 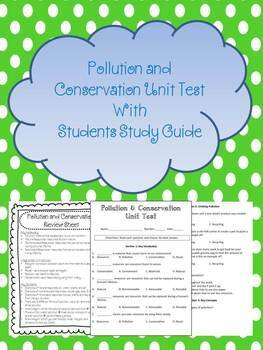 Check out the Pollution and Conservation Task Cards in my store to review before this test!